This beautiful corner of North Norfolk is a good place to live. Five small communities are linked together by a stream, the Scarrowbeck, which gives the parish churches of the area a name that identifies and unites them in a renewed sense of vision. This website attempts to show who we are, what's going on, and where to find us. In our case it means an interval between priests-in-charge. A new priest will be chosen to replace Father Paul by a committee chaired by the Bishop of King's Lynn and will include the church wardens. The meeting will be held on 18th September 2018. Home visiting for the sick or infirm will continue on request. Baptisms, weddings and funerals will continue in our churches as required. 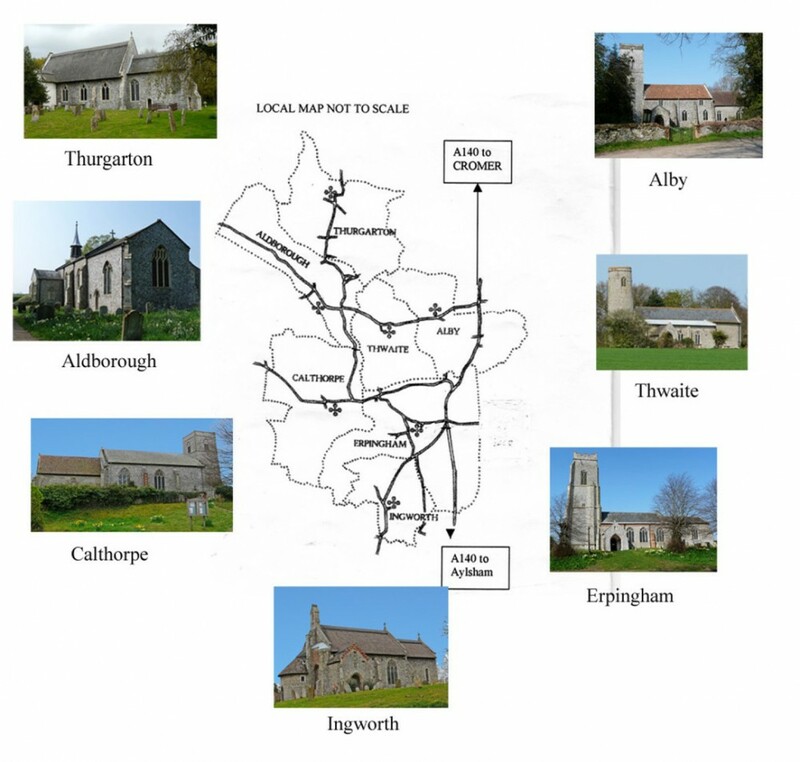 There are five parishes in the Scarrowbeck benefice: Alby, Calthorpe, Erpingham, Ingworth and Thwaite. Both Ingworth and Calthorpe are now in the care of the Diocesan Trust who look after the fabric and insurance. They have at least 6 services a year, are open during the day, and are available for baptisms, weddings and funerals.